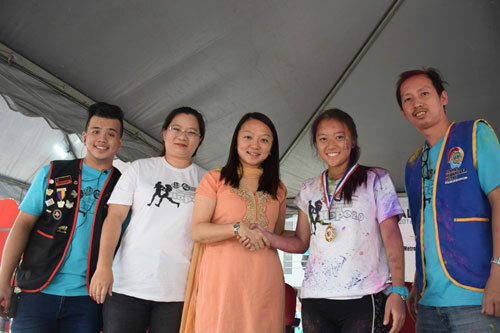 Y.B Hannah Yeoh (third from right) accompanied by Tan Ling Ling (Chief Executive of INTI International College Subang, second from left) and the representatives from INTI’s Leo Club presenting the winning medal to one of the participants of Colors of Hope Charity Run. Joining them at the event was Y.B Hannah Yeoh (Speaker of the Selangor State Legislative Assembly and State Assemblyman for Subang Jaya) who presented the winners with their medals. The event continues the long tradition of INTI students making an impact in the society, with the likes of Lester Hiew (Founder of A Dog’s Life) and Heidy Quah (Founder of Refuge for the Refugees) already becoming renowned social activists. 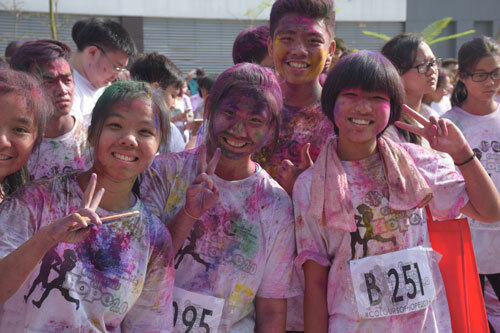 The students posing for photo after a colourful end to the run.